If you’re building a new eCommerce website, choosing a platform can be like buying a new washing machine. Then you’ve got a plethora of mid-range options to choose from. Some might be front-loading, others top; they all do variations of the same things. Suddenly you find yourself completely confused. The same goes for the eCommerce world. You have everything from a templated, free, open-source option like WordPress with WooCommerce all the way to a robust, technologically advanced, feature rich, (and pretty pricey) option like Magento Enterprise. There are some obvious factors to consider, namely at what stage of your company’s growth you’re currently at. And consequently what your web budget will be. 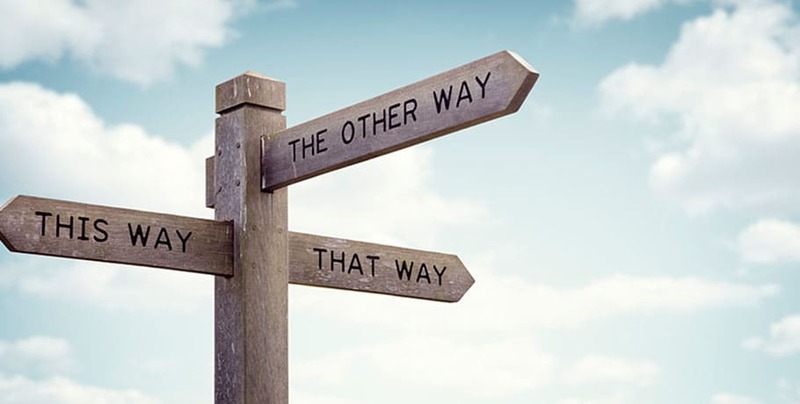 But once you narrow down the 2 or 3 options that could be a good fit for you, the decision can become fairly tricky. Many-a-client has asked us how we chose to primarily work with Magento and why we recommend it more often than not. The truth is, there are several great options on the market, and while we’ll work with other platforms in the right scenario, we’ve simply found that Magento is the most versatile option to cover the broadest range of needs. The open source nature of the platform has leant itself naturally to a solution that allows you to tailor your eCommerce site to your exact needs. It’s by far the most customizable option on the market. You can easily build your eCommerce site with the basic, free version of Magento and work your way up through customization, and the addition of plugins and extensions. Eventually once you’ve reached a significant level of sales and have a gigantic volume of products ;-)…. The Magento Enterprise option is expensive, yes. But also, the best. Again because of the open source, community nature that drives the Magento platform, it’s no surprise it’s known for innovation. For example, the easiest way to achieve a 1-click checkout today is through Magento Commerce. The platform jumped on Amazon’s expired patent on the technology and became the first commerce platform to offer the functionality as a native feature – what they call their “Instant Purchase” feature – shortly after it was fair game in 2017. With a vast network of Magento Certified Developers all over the world, you can find someone to help you whether you’re looking for a freelancer or an agency that can put a whole team on your project. There’s a lot of knowledgeable talent, all of whom had to meet the same standards to get their certification. These are a few of the main reasons that 9 out of 10 times we recommend Magento. While it’s not perfect for everyone, it’s works really well for most eCommerce sites.